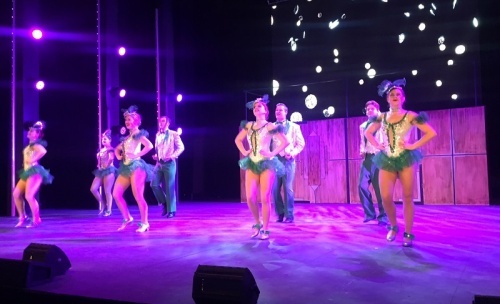 “HEAR the beat of dancing feet, it’s the song I love, the melody of 42nd Street” go the words from title number “42nd Street”, opening at The Q in Queanbeyan tonight (March 26) with a cast of 32 – who mostly can tap. It’s the quintessential uplifting musical, written in 1933, conductor Ian McLean explained to media, to raise the spirits of Americans during the Depression. “42nd Street” is full of crowd-pleasing tap dances and musical standards such as “Lullaby of Broadway” and “Shuffle Off to Buffalo”. In what McLean called “a lovely story”, the popular tap-dancing show tells the story of Peggy Sawyer, a young hoofer from the sticks who gets her break with director Julian Marsh (Jarrad West) on Broadway when an older stars breaks a leg. Nick Griffin as musical director, “CityNews” heard, had assembled a large professional orchestra (largely brass, no strings) to match the big band sound of the era, illustrated by the number “Dames”, featuring Samuel Ward as leading man Billy Lawlor. “Tap is my passion” choreographer Michele Heine told “CityNews” as she watched her male and female dance ensembles go through their paces for numbers like “We’re in the Money” and “42nd Street”. This was a show people couldn’t audition for without tap skills, she said, “but of course you need good singers and actors too”. Happily, she explained, Sophie Highmore, who plays Peggy, has been tapping with her in the “Legs” dance studio since age 2. 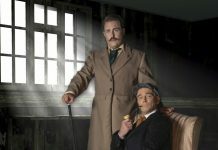 A Free Rain Theatre production directed by Chris Baldock, the show follows in the footsteps of big shows like “The Phantom of the Opera”, “The Little Mermaid”, “Mary Poppins” And “Wicked”. “42nd Street”, At The Q, Queanbeyan, previews March 26-7, main show March 28 to April 15. 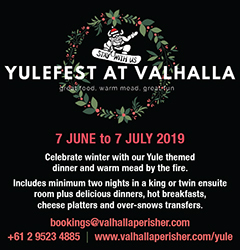 Bookings to theq.net.au or 6285 6290.